Since 1953, the Jane Addams Children's Book Award honors books published in the U.S. during the previous year that engage children in thinking about peace, justice, world community, and/or equality of the sexes and all races. The books also must meet conventional standards of literary and artistic excellence. 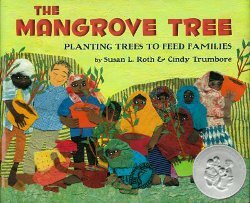 Congratulations to the 59th Jane Addams Children's Book Awardees: Susan Roth, Cindy Trumbore, Winifred Conkling, Anna Grossnickle Hines, Calvin Alexander Ramsey, Bettye Stroud, John Holyfield, Kadir Nelson, and Thanhha Lai. Dr. Gordon Sato, a survivor of the Japanese internment camp Manzanar, is a biologist committed to ending hunger throughout the world. In the village of Hargigo in Eritria, local women provide the labor to plant mangrove trees which supply them with much needed income. The trees turn carbon dioxide to oxygen, attract fish, and feed goats, sheep, and children. Young Sylvia Mendez moved into Aki Munemitsu’s home when Aki’s family was relocated to a Japanese internment camp. 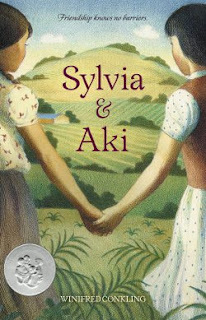 Sylvia and her siblings weren't allowed to register at the same school Aki attended, but were sent to a “Mexican” school. Sylvia’s father challenged the separation of races in California’s schools by filing the suit that ultimately led to the desegregation of California schools and helped build the case that would end school segregation nationally. 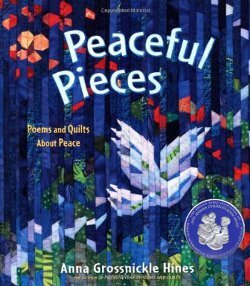 In her collection of poems illustrated with her handmade quilts, Anna Grossnickle Hines explores peace in familiar and unfamiliar forms, leading young readers to find their own way to peace, and then act upon it. 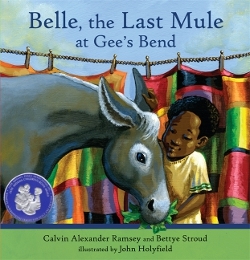 Waiting for his mother in Gee’s Bend, young Alex spots a mule running loose and eating crops from someone’s garden. When he asks about the mule, Alex learns about the famous Belle and her connection to Dr. Martin Luther King, Jr. 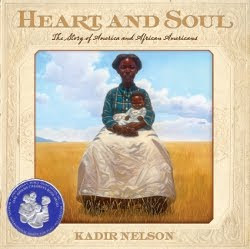 The story of African and African American history from Colonial days to the day the aging narrator casts her vote for the first African American president. 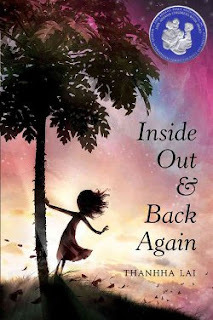 As the Vietnamese war reaches ten year-old Ha’s family in Saigon, she and her mother and brothers flee for America. Told as a series of free verse poems, Ha finds her footing through her first year as a refugee.